The world's most successful tech startups are born in the Bay Area. In fact, corporate giants like Facebook, Google, and Amazon have planted roots here. While there are plenty of household names spread across the region's nine counties, Palo Alto and San Francisco top the list as the area's leading tech hubs. With an abundance of venture capital, tech talent, and resources, it's easy to see why tech founders choose to scale their startups and scale-ups here. "As part of the larger Silicon Valley, San Francisco is unique in that startups are central to the culture and business climate of the city," says Kelly Wanser, founder and CEO of San Francisco-based Stateless Networks. "Everywhere you go, there are startup founders, investors and employees talking shop and people, services and events to help startups grow and thrive." However, San Francisco is one of the most expensive cities in the world. For many tech startup founders and entrepreneurs, building a company here is too costly. Some Bay Area startups have even made dramatic cost-cutting measures to combat the area's surging prices. Despite these and other challenges, the Bay Area has solidified itself as a leading tech hub worldwide. With that said, which city — Palo Alto or San Francisco — is right for your tech startup? Let's review some of the pros and cons of each location and how these top tech communities will help your startup scale. 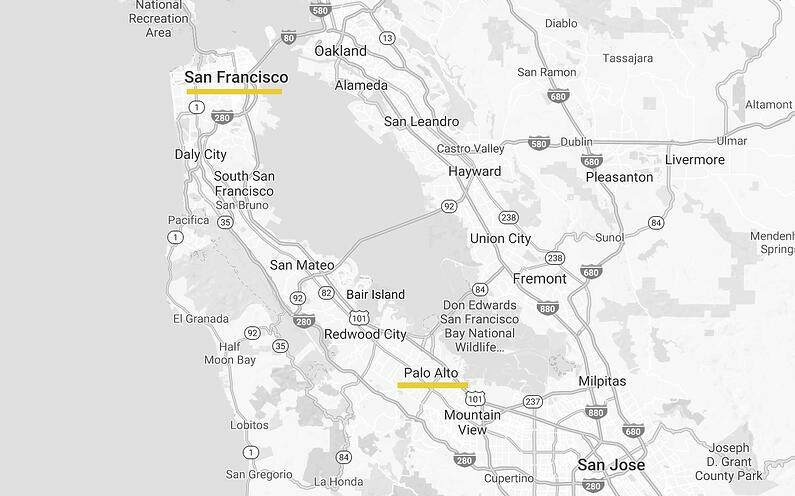 San Francisco vs. Palo Alto: Where Should You Scale? How did the Bay Area position itself as a dominating tech force? In the 1970s, companies like Atari, Apple, and Oracle were founded here. By the 1990s, eBay, Yahoo, PayPal, and Google joined the ranks of Silicon Valley tech titans. In the ensuing decade, Facebook, Twitter, and Uber followed suit. During this time, thanks to the success of these and other tech leaders, Silicon Valley experienced a startup boom. According to the Bay Area Census, the area's total population has reached more than 7 million people. Furthermore, roughly 1 in 5 payroll jobs in the Bay Area is created in tech industries. In the last 12 months alone, the number of tech jobs grew by 4.6 percent in Santa Clara County, 2.6 percent in the East Bay, and 6.8 percent in San Francisco-San Mateo. However, this surge in jobs continues to place a burden on the region's complex affordable housing crisis and traffic issues. "We are creating all kinds of tech jobs, but at the same time we are nowhere near to solving all the housing and traffic problems," says Russell Hancock, president of San Jose-based Joint Venture Silicon Valley, a private-public partnership. Many area startups have even taken matters into their own hands to solve these and other issues. To achieve sustained growth, communities here must continue to address the area's most significant challenges including the rising cost of living, traffic, unfair wages, sexism in the workplace, and more. Credibility: The world's leading tech companies are based in Silicon Valley. As such, venture capitalists routinely seek investment opportunities in Palo Alto. However, an increasing number of tech companies have relocated to San Francisco in recent years. Twitter, Google, and Airbnb now have offices in the city. In fact, Twitter's strategic relocation even inspired other startups to move. Infrastructure: Palo Alto was never built to accommodate as many tech startups as it does today. Residents and employees are continually burdened with inconvenient traffic jams and limited office space. Meanwhile, San Francisco provides convenient public transportation and workspace options. Simply hail a cab or take advantage of the city's BART and MUNI rapid rail system to get where you need to go. Nearly 265,000 workers use this transit system to commute into San Francisco daily. As such, San Francisco was named the number one city in the United States for living without a car. Workspace: Startups can find a significant number of workspace options in San Francisco. In fact, the city is home to world-leading tech campuses. Meanwhile, lease and rental opportunities in Palo Alto cost a premium. Additionally, the city recently enacted an ordinance on office development, limiting commercial expansion to 50,000 square feet annually. "Cool" Factor: San Francisco offers more in terms of socialization, nightlife, and recreational opportunities. The city is full of history, great neighborhoods, parks, beaches, and museums. There, residents can choose from a variety of top-rated attractions including the Golden Gate Bridge, Alcatraz Island, Fisherman's Wharf, Chinatown, San Francisco Museum of Modern Art, and more. While there are plenty of outdoor, recreational, and entertainment opportunities in Palo Alto, they pale in comparison to San Francisco's majesty and grandeur. Cost: Renting a 900 square foot furnished apartment in Palo Alto costs $3,624 per month on average. Comparatively, the same accommodations will cost around $3,705 per month in San Francisco. As a result, employees will likely demand higher wages. To combat these extravagant housing prices, Google, Facebook, and others plan to construct living accommodations for their employees. Additionally, San Francisco and Palo Alto residents can expect to pay an exorbitant amount of money for office space. According to a recent report from CBRE Group, the price per square foot for office space in San Francisco has reached $72.26. For those seeking an affordable office solution, RocketSpace's tech hub allows startups to scale without any longterm or costly lease agreements. Major Tech Hubs: Over the past decade, San Francisco and Palo Alto have become major tech hubs. In fact, in 2015, 60 percent of all commercial leases signed in San Francisco were for technology companies. You will discover a vibrant community of tech innovators, networking events, and tech resources at each location. Access to Top Talent: Stanford University, located in Palo Alto, is continually listed as one of the world's top engineering schools. Additionally, nearby California Institute of Technology and The University of California Berkley routinely rank as leading colleges and universities. No matter where you choose to scale, each location offers great tech talent. Venture Capital: The Bay Area held a 25.3 percent share of global venture capital investment in 2016. Though most venture capitalists reside in Palo Alto, they are all accustomed to commuting to the big city for networking events, conferences, and tech gatherings. Learn more about Silicon Valley's top tech events, programs, and resources in the Silicon Valley Startup Guide. 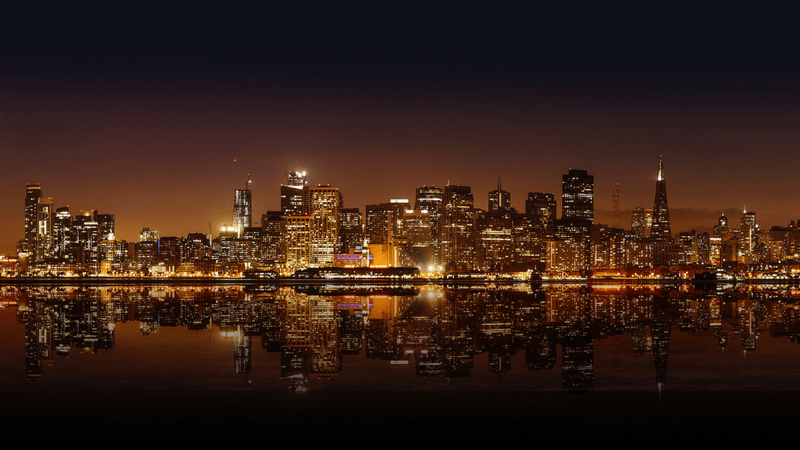 Are Ready to Scale Your Tech Startup in San Francisco? In most instances, the location you choose to scale your tech startup will come down to personal preference. The world's top accelerator programs, venture capitalists, and tech talent exist in both locations. Before making your decision, start by asking yourself a few questions. What type of work environment do you want to work in? Where can you find the most affordable deal? Culturally, which city makes the most sense for your business? 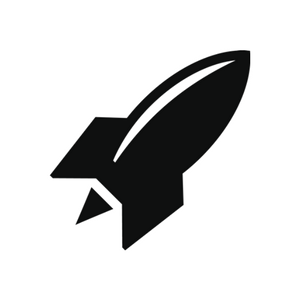 RocketSpace makes it easy for startup teams who want to work in San Francisco. Providing our members with affordable coworking space has spurred the world's leading tech startups to choose to scale at RocketSpace. 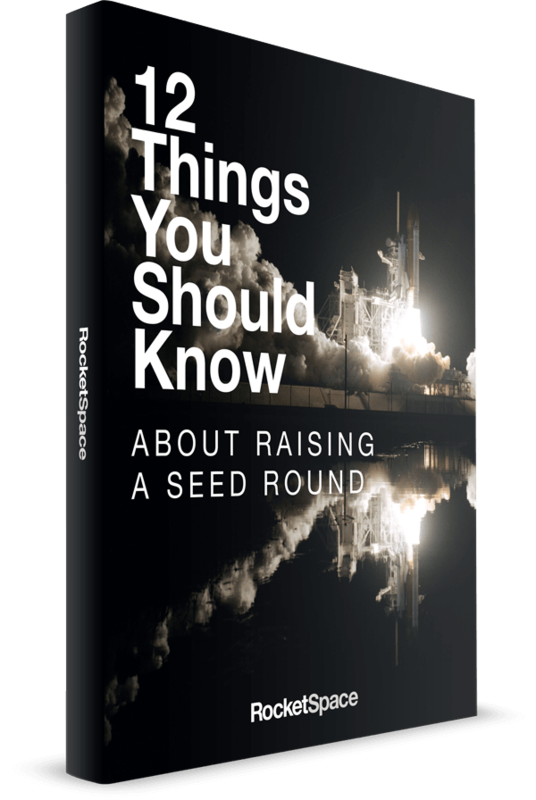 In fact, our curated tech ecosystem of Seed to Series C startups has contributed to the growth of more than 18 unicorns. Are you ready to scale your tech startup in San Francisco? Try a FREE Day Pass!